Synopsis: A knife-wielding serial killer known as the Maniac is terrorizing the countryside, and the police, led by the clueless Detective Bailey (Matt McHugh) are unable to catch him. Each of the Maniac’s victims is found with a newspaper headline pinned to the body (as befits a Columbia picture, these headlines are in 42-point font, saying things like MANIAC STILL ON THE LOOSE!). Meanwhile, at the Rinehart mansion, Dr. Arthur Hornsby (George Meeker) is working late on a chemical formula that will place a person in a state of suspended animation. To demonstrate that his formula works, he plans to inject himself with the serum, then have his body placed in a coffin, buried in the backyard, then dug up eight hours later and revived. A number of skeptical scientists will be on hand to witness the experiment. Hornsby’s experiment is worrisome to his fiancée, Mary Rinehart (Sally Blane), and she is frustrated that he pays more attention to his experiments than to her. In spite of the fact that she and Hornsby are engaged, Mary is being aggressively courted by brash newspaper reporter Tom Hartley (Wallace Ford) , who is covering the Maniac killings. While Mary chides Hartley about his advances, it’s clear that she is flattered by the attention – attention she isn’t getting from Hornsby. The servants at the Rinehart estate are as quirky as its other inhabitants. Ethnically indeterminate butler Degar (Bela Lugosi) seems to be carefully guarding a secret or two, and mystical maid Sika (Mary Frey) believes that various omens from the spirit world are pointing toward ghastly fates for all in the Rinehart household. When family patriarch Richard dies under mysterious circumstances, the will reveals that everyone in the household -- including the servants -- shares in the inheritance. What's more, should any of the inheritors die, that portion of the estate will devolve to the others. So when members of the Rinehart family start to turn up dead, the question is obvious: are they victims of the Maniac, or each other? 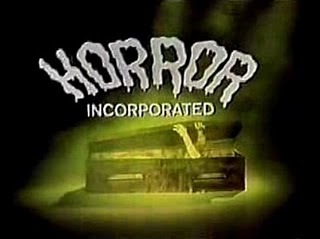 I wrote about this goofy little Columbia programmer here; this is Night of Terror's third go-round on Horror Incorporated. It comes off a bit like a stage play, with the main setting the drawing room of the Rinehart mansion. There are lots of doors in the old house, allowing characters to race in and out from all directions. There's a plot, of course, but I'd suggest you don't think too much about it. You're better off letting the movie wash over you. The murders that occur are the sort that happen in Agatha Christie novels -- they are pieces of an interesting puzzle, and there's not that much at stake, even when the ostensible protagonists are threatened. As thinly-drawn as many of the characters are, we at least get to see some good actors at work; particularly the under-utilized Bela Lugosi and Sally Blane, who was born Elizabeth Young and was the sister of Loretta Young. Blane really sparkles here, and serves as an aristocratic counterbalance to Wallace Ford's down-market reporter. "Night of Terror" used to be incredibly hard to find; but the Internet is gradually making these sorts of movies easier and easier to access. You can now find the whole thing here. Unfortunately, in the movies this can only mean one thing, and sure enough, Helen is killed minutes later in a car crash. Despondent, Blair gets through the funeral, then returns to the lab, hoping to find solace in his work. Blair tells his colleagues of this incident, and that he might have stumbled on a means of communicating with the dead. But the colleagues are not only skeptical, but embarrassed that he would entertain such a notion. Blair is angry at their willful stupidity. The building's maintenance man, Karl, overhears their exchange, and he later tells Dr. Blair that he knows a psychic who can communicate with the dead -- she is, in fact, helping Karl communicate with his dead mother. Blair is doubtful, but he accompanies Karl to a seance. Blair's idea is to use Mrs. Walters' naturally stronger wave-pattern to establish a link with Helen. When this fails, he decides to add Karl to the circuit, like the amplifying grid in a vacuum tube. But even here they are not allowed to work unmolested. In the two years since Dr. Blair, Walters and Karl arrived, a number of bodies have disappeared from morgues and crypts, and the townspeople are beginning to suspect. The soft-spoken local sheriff (Kenneth MacDonald) tries to question Blair about his experiments, but gets nowhere. Comments: Wallace MacDonald was one of those Hollywood jacks-of-all-trades who emerged from the silent era, remaking his career less from a desire to expand his horizons than from sheer necessity. He'd been a silent film actor since 1914, appearing in some notable pictures, including The Primrose Path (1925), opposite Clara Bow; as the title character in the serial Whispering Smith Rides (1927) and as the ill-fated Peter Godolphin in The Sea Hawk (1924). The silent era ended too abruptly for many actors, who couldn't adapt to the times and were swept out of the business. But MacDonald turned to writing with some success (his credits included the Gene Autry vehicle The Phantom Empire, 1935), and had even better luck as a producer at Columbia, starting with Parole Racket in 1937, and carrying on through a slew of unspectacular but solid programmers, including The Face Behind the Mask (1941), which has popped up a few times on Horror Incorporated, as well as a cycle of Boris Karloff mad scientist pictures, all of which we've seen late at night on channel 5: The Man They Could Not Hang (1939); The Man With Nine Lives (1940); Before I Hang (1940) ; and tonight's feature, The Devil Commands. Of the four, this one is by far the best, for a number of reasons. In a nutshell, this was the only film of the series to be directed by Edward Dmytryk, who manages to imbue the low-budget affair with a keen atmosphere of dread. The scene in which the soft-spoken Karloff faces off with the soft-spoken sheriff played by Kenneth MacDonald ( a stage name, by the way - he is no relation to Wallace MacDonald) is memorable because it's played so differently than similar scenes in similar pictures. 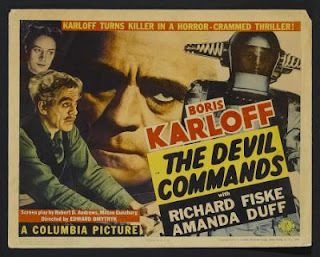 Karloff films at Columbia, but somehow Dmytryk manages, through small tricks of verisimilitude, to pull it off. He seems to understand that horror films must remain plausible, even when the premise is unlikely - in fact, it plausibility becomes more important with an unlikely premise, not less important. 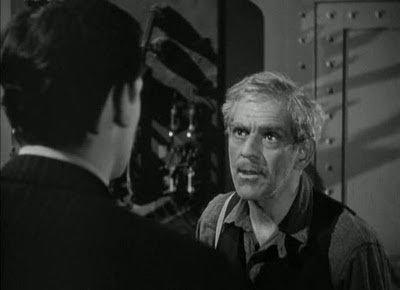 And unlike the other Karloff mad scientist pictures at Columbia, this one doesn't actually feature a mad scientist at all. The grief-stricken Dr. Blair is motivated not by revenge nor bloodlust nor vanity. He wants, quite simply, to be reunited with someone he has lost, and it is this desire that connects him with the gullible Karl and the cynical Mrs. Walters. In a sense all three are in the same business, though they are all approaching the afterlife from different angles. Karl is a wide-eyed believer; Mrs. Walters a crooked seer; and Blair a scientist who believes that his rational approach will make the afterlife logical and accessible to him. He does learn his lesson, but as is often the case in these sort of movies, he learns it too late. 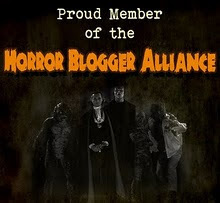 I did rather enjoy the twist ending of NIGHT OF TERROR, at least in regard to the George Meeker character, not the dead maniac played by Edwin Maxwell. Cy Schindell was billed as 'Ralph Penney' in THE DEVIL COMMANDS, and as 'Al Seymour' in THE FACE BEHIND THE MASK. I'm confused.